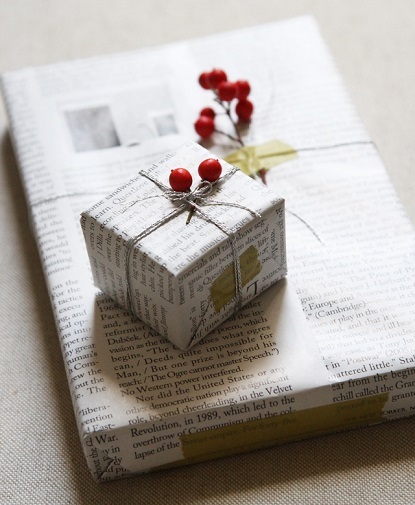 Do you like wrapping gifts? My mom always says, a great gift is only half of the surprise as the other half is in the wrapping. So, this year I decided to make an extra effort with the wrapping and here are the 10 beautiful, creative and simply heart-warming wrappings that I have a hard time choosing between. Which one is your favourite? I simply can’t decide, but I love the idea of using brown paper or magazine pages. I’m thinking between nr.1 or nr.3. You? 1. 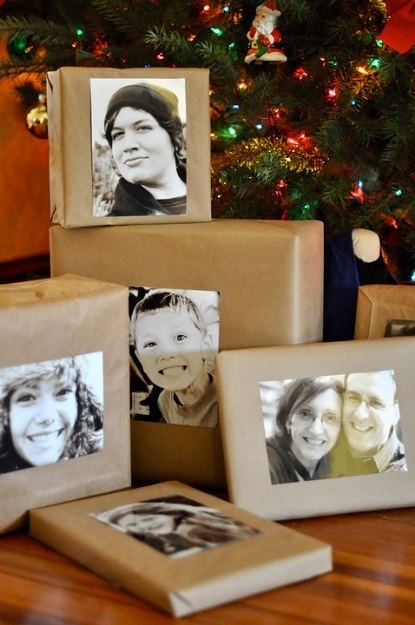 Photos above: using brown paper, tree snippings (woodland charm) and old family photographs. 2. 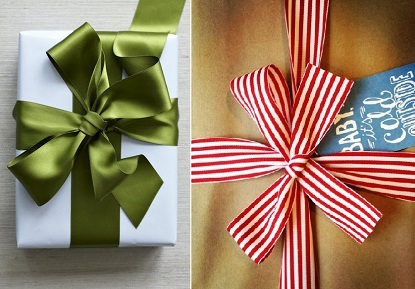 If it's a food gift, you can wrap it in a tea towel and decorate it with rosemary and other herbs. 3. Using magazine pages and red berries. 4. Classic, with white or brown paper and a huge fabric bow. 5. Using a gingerbread reindeer instead of a bow. 6. Creating your own chalkboard packaging. 7. Using brown paper and fresh springs of pine. 8. Jazzing it up especially for kiddos with colourful yarn. 9. 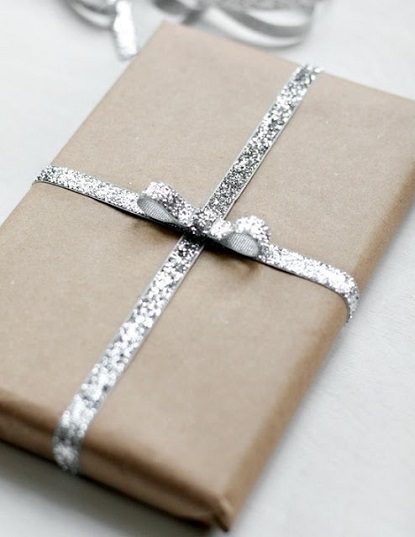 Adding a little sparkly wrapping string for a snazzy dash of class. 10. 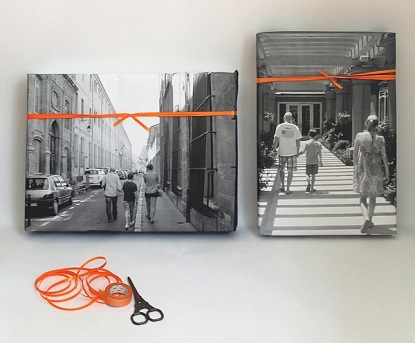 For close family, a large print photo wrapping paper using actual family photos. P.S: Plus, here are all our this year's gift guides so far. 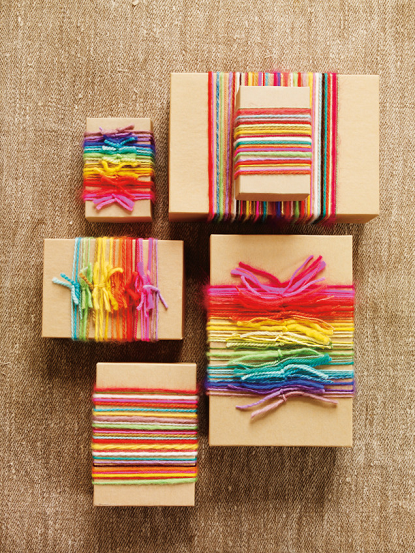 P.P.S: I also love this twine and here are 15 free printable tags that you might like. Your mom is right. I use newspapers every single year with big red fabric bows but I love the idea of using vintage photos as well. so fun! i love the photo idea and the black paper with white writing! Love this! Especially the wreath one. So beautiful. I'm really into wrapping and this year I'm packaging mine like airmail parcels, complete with brown paper, string and vintage stamps. These are all such clever and lovely ideas. Book marking this for sure. 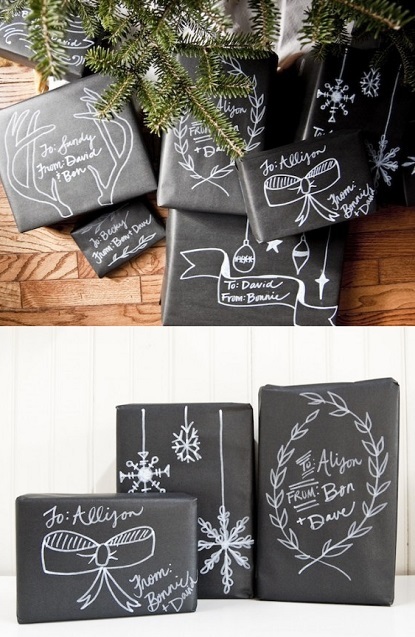 I love them all and I'm totally doing the chalkboard style on all my gifts this year! I love red fabric bows, Anonymous. They are so fancy-looking, aren't they? Looks delicious, doesn't it, Marieken? 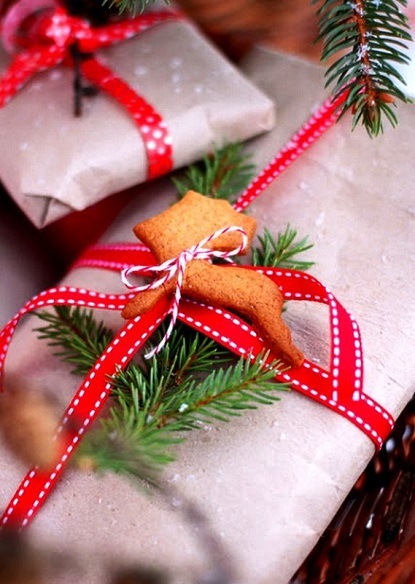 I love the idea of presents and wrapping!!! This year I just had my son do drawings on newsprint so each gift is wrapped in his artwork. 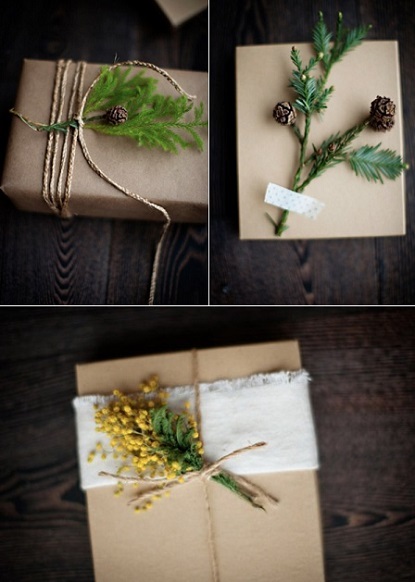 I love these rustic and festive, and sweet wrappings! I love your idea, Amy:) How sweet!